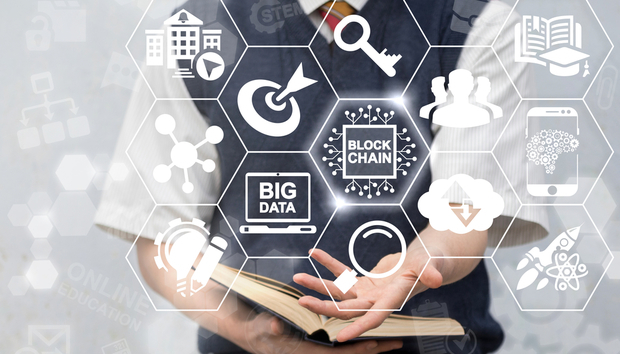 Pre-register free for ‘Blockchain for Business: An Introduction to Hyperledger’ which starts on 25th October. We speak to Brian Behlendorf, executive director of Hyperledger to learn more. Over the summer we took a look at the blockchain skills shortage. This seems to exist on a number of different levels. Firstly, decentralised databases offer a new way of working which presents a challenge for individuals trying to get their heads round the whole concept. Secondly, most of the tools are brand new and nobody knows which (if any) will have de facto business uses in future. There has also been an incredible surge in interest in blockchain technology since 2016. Scott Driscoll, lead developer at Foundry 45 and Pluralsight author believes this means it's no wonder there's a shortage. “On the training side, there are several online courses, boot camps, and consulting firms, but only a handful of university courses,” he says. To help fill this shortfall, Hyperledger – the open source Linux Foundation blockchain community – has brought out a free online course through edX.org (an online learning platform founded by Harvard University and Massachusetts Institute of Technology). The course is open for pre-order now and officially starts on 25th October with the option to add a verified certificate of completion for $99. Brian Behlendorf, executive director of Hyperledger explains that as this is a free course the payment offers a receipt – or guarantee – that individuals have completed the course. This will be useful for employees within organisations that require proof of skills, he says.